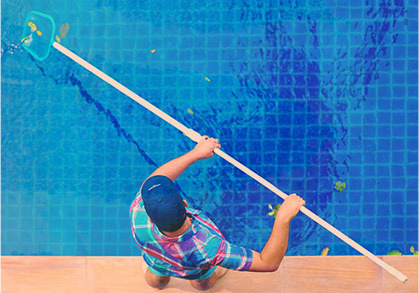 You can’t enjoy your pool if it’s not safe for human use, and the best way to ensure a safe, sanitary, algae-free pool is to perform regular swimming pool chemical maintenance. Unlike a pond, lake, or the ocean, which each have delicate ecosystems that typically prevent bacteria, fungi, and algae from getting out of hand, swimming pools are artificial environments. Without the help of fish and plants to keep negative elements at bay, your pool relies on its pumping system and chemical treatments to remain hygienic. That’s why Universal Pool Service offers complete chemical service in Glendale, Litchfield Park, and Goodyear for a low monthly fee. When you hire us to check and balance the chemical levels in your pool, you never have to worry about this time-consuming and delicate task. 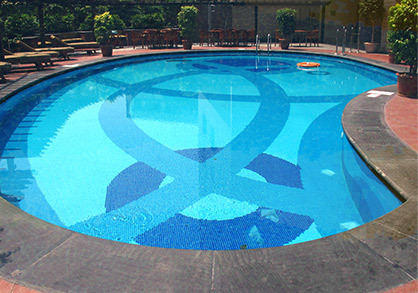 What Causes Pool Chemicals To Become Unbalanced? Now you might be thinking: there’s no way I can keep all of these things out of the pool! And you’re right. 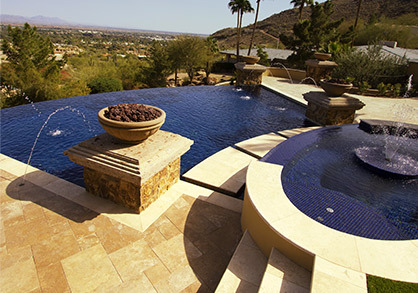 That’s why it’s important to hire a professional pool chemical maintenance service. Perhaps you’re looking out the window at your pool right now, and the water looks clear. Before you click away from our site, it’s important that you be aware of one simple fact about pool chemistry: Clear water doesn’t mean safe water, but safe water will always be clear. Don’t put your pool or the health of your family at risk! Call Universal Pool Service for monthly chemical balancing services today.